There’s nothing like being awakened by the scraping, grinding sounds of a plow clearing a parking lot at 5 am. The natural instinct is to fold a pillow over your head, turn over, and try to go back to sleep. Although it was still dark, I could see that five inches of fresh snow had fallen during the night, adding to the six that had accumulated the previous afternoon. I slid open the door to the balcony, walked outside, and listened. The plows had finally finished their work, and I was enveloped in complete silence. I thought back to the previous evening, when I ignored a chain-law warning, and drove my two-wheel-drive Toyota Camry rental over Teton Pass. After pulling into a Mexican restaurant in flat-as-a-pancake Driggs, Idaho, I noticed that there were only a few inches of snow on the ground. While first-time visitors to Grand Targhee Resort, about 12 miles east of Driggs, would have been scratching their heads wondering where all the white stuff was, I ate my cheese enchiladas in peace, secure in the knowledge that I would soon be entering The Powder Room. At 9:30 am, I went up in the high-speed Dreamcatcher lift and licked my chops at what lay beneath me: 2,000 acres of wide-open, ski-wherever-you-want terrain, perfectly tilted from top to bottom, dotted here and there by clumps of spruce or aspen trees. While weekend skiers had tracked through a fair portion of the ungroomed snow, upon closer examination, I found piles of boot- to knee-high powder nearly everywhere. For the next six hours, I whooped it up all the way down more than 2,000 vertical feet on Fred’s Mountain, hopping from island to island of gorgeous bone-dry snow. The whole thing seemed almost too easy: three lifts, jaw-dropping scenery, tons of terrain, and lots of white stuff. Given those essential elements, the criticism one often hears from expert skiers who normally frequent Jackson Hole — that the lift-served mountain is, for the most part, a big blue square — seemed beside the point. This was pure fun. 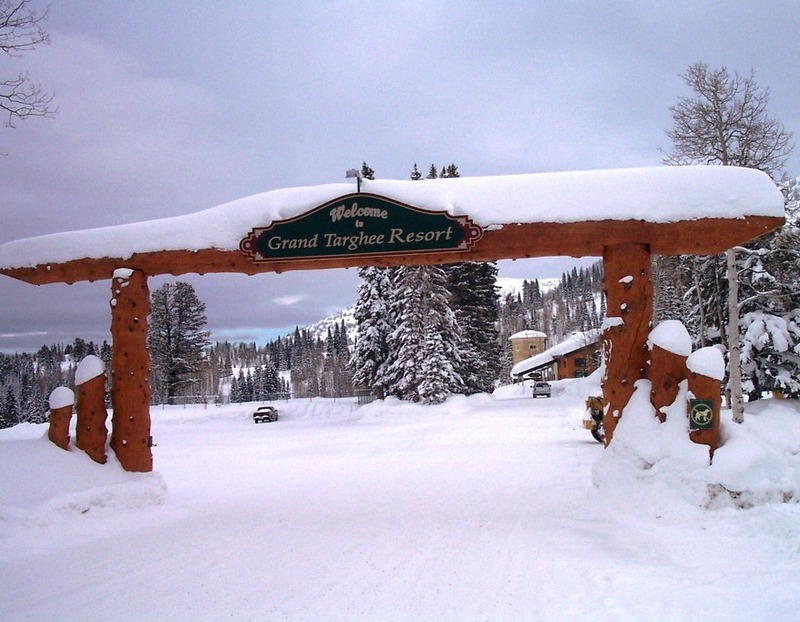 Moreover, for couples who don’t like to tackle the same terrain, Grand Targhee is the setting for a perfect ski marriage. One powder hungry spouse can click into his or her fat skis and float through cold smoke all day long, while the other partner can take it easy on the ski area’s many groomed intermediate trails. Because the place is so wide open, everyone is free to take different paths down the mountain, meet at the bottom, and ride back up together on the same lift. Novices will appreciate a generous beginners area that is fully separate from the rest of the terrain, complete with its own chair and glades. And if certain members of your group aren’t in the mood for skiing, they can relax at the spa, swim, snowshoe, tube, ice skate, snowmobile, or go for a sled dog ride. Not even a decade ago, the mention of Grand Targhee in a roomful of U.S. skiers from outside the Rocky Mountain states would have been met by a series of blank stares. While the resort made a name for itself from superlative word-of-mouth, just as many satisfied customers zealously guarded their little secret as if they’d found the key to Fort Knox. But with glowing reports from powder hounds on ski forums and articles in major magazines, a small, but growing reputation took shape. But just because Targhee is better known today than it was a few years back doesn’t mean that you’re going to see liftlines there. With only 150,000 ski days per season, including about 10,000 Jackson Hole guests who drive or take the Grand Targhee Express bus, the mountain isn’t exactly crawling with people. Although it’s never more than a 90-minute drive from Jackson Hole in all but the most inclement weather, you still need to commit to go there. However, the payoff is well worth the small amount of extra effort. 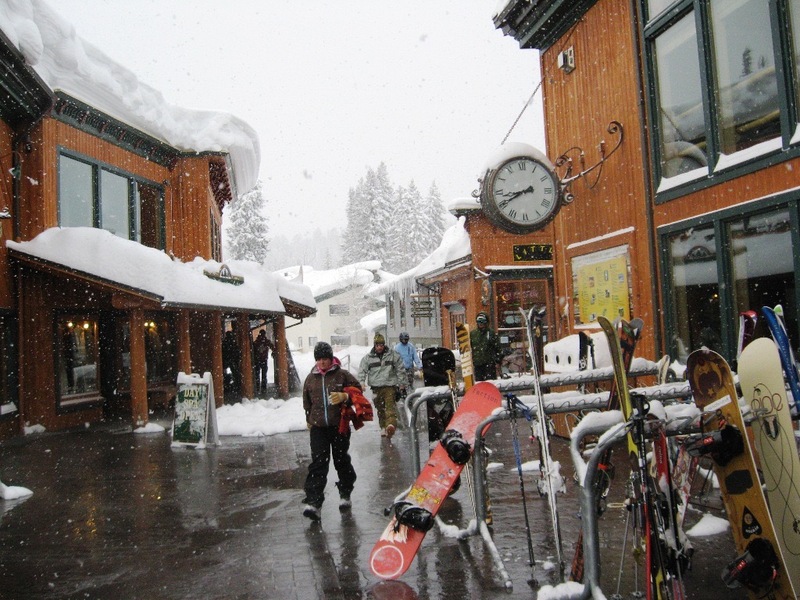 For those who have experienced the feeding frenzy that accompanies a powder morning at places like Alta or Snowbird, Grand Targhee will feel like a trip to the Hooterville general store. You can take it easy, gape at the stunning panorama, and revel in all that elbow room. Don’t worry, no one’s going to steal your powder. 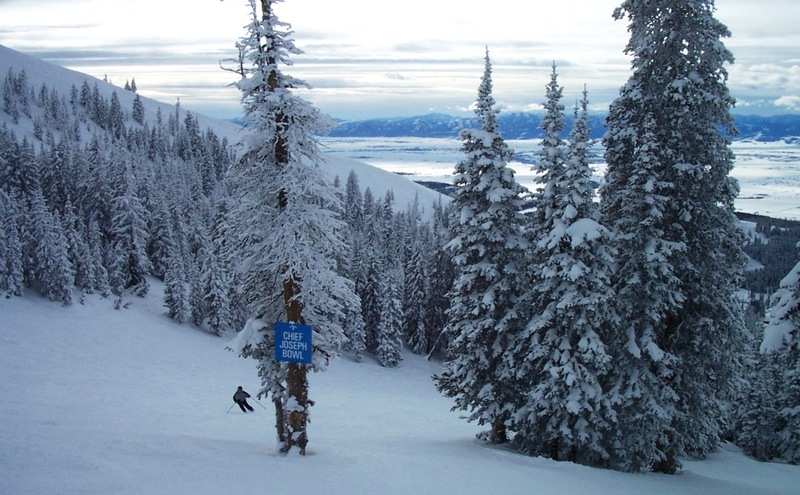 As much as Grand Targhee is praised for its consistently excellent conditions (more than 500 inches a year on average), snow is only part of its allure. A not inconsiderable amount of the ski area’s appeal lies in its intimate size. With lodging, skiing, restaurants, and activities all located just steps from base, once you enter the front gate and park your car, you won’t need it again until you leave. But beyond mere convenience, for those who want to avoid the industrial tourism vibe found at mega resorts, Targhee offers a distinct alternative: a congenial, where-everybody-knows-your-name ambiance that pervades every inch of the resort. This impression was driven home to me when I attended their weekly wine and cheese party, held right after the lifts closed. Open to all overnight guests, about 25 of us mingled with a handful of employees, including the general manager, resident naturalist, food service supervisor, and cat skiing director. They introduced themselves, told us about their role at the resort, where they came from, how they ended up at Targhee, and invited us to stop by their specific department to say hello. Despite its carefully maintained small-town ambiance, big changes may be coming to Targhee. The resort has recently finalized a land swap for 120 acres of U.S. Forest Service land that will allow it to expand its quaint, but overtaxed base facilities, including new restaurants, retail stores, and lodging. 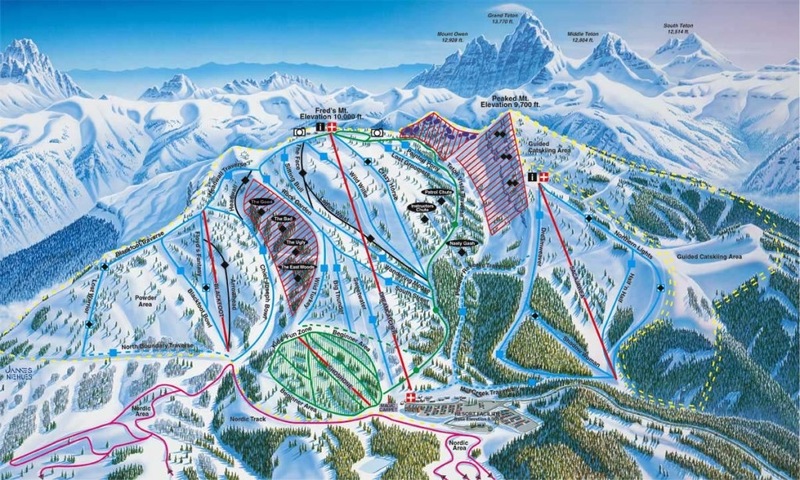 At its present size, about 440 “pillows” (as they say in the industry), Targhee’s on-mountain accommodations are often booked on weekends and other peak periods; a situation that the ski area would like to rectify as soon as possible. More controversial is the resort’s eventual plan to install two high-speed lifts on Peaked Mountain — giving skiers access to a thousand acres of terrain presently reserved for cat skiing. While powder pigs from all over the world are already drooling at the prospect of a vastly larger bang for their lift ticket buck (a 50% increase from the present 2,000 skiable acres and an additional 400 vertical feet) many people, both visitors and employees, are ambivalent about the loss of such a popular and recognizable component of the resort.